Eight hundred exhibitors from industry, commerce, and government. Three hundred thousand feet of supply chain innovations and solutions. One hundred sessions on manufacturing and supply chain trends, technologies, and innovations. There’s a reason why ProMat is considered the largest expo for manufacturing and supply chain professionals in North America. Attending the show offers access to the latest manufacturing and supply chain solutions as well as the opportunity to engage with industry professionals and build business partnerships. 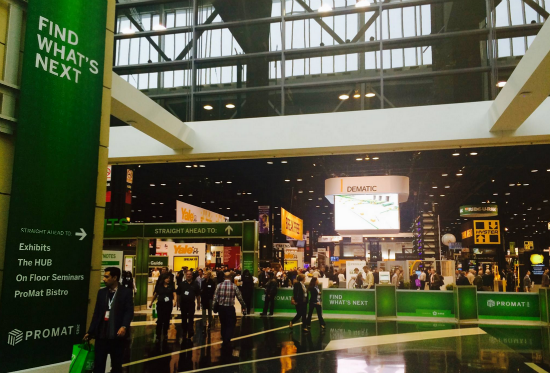 During the week of March 23 – 26, 2015, we traveled to Chicago to get in on the action at ProMat. When we weren’t touring the show floor or attending breakout sessions, we were connecting with industry partners and customers for their insight on this year’s show, as well as some of the broader trends in manufacturing and the future of the industry. We were grateful to have the opportunity to sit down with Ed Romaine, Vice President of Sales and Marketing at one of our partner companies, SI Systems. Ed is one of the brightest minds in the industry, so we’re happy he had time to spend with us. 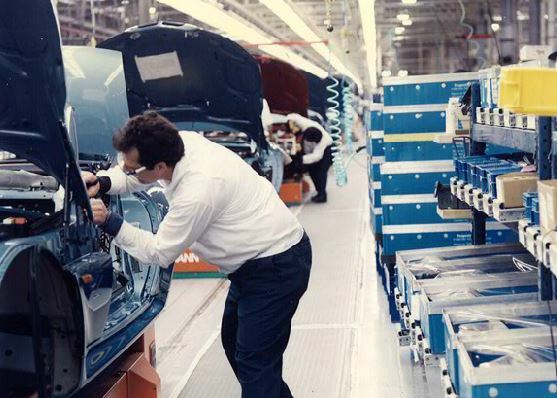 Cisco-Eagle: What are some of trends shaping the manufacturing sector today? Ed Romaine: Manufacturing is all about doing it better, faster, leaner. 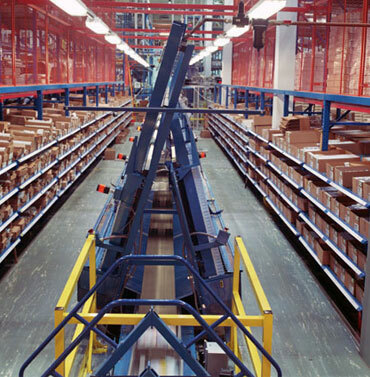 One of the major things that we’re seeing within manufacturing is the need for efficient transportation solutions (i.e., AGVs, towline conveyor, etc.) to move items through work areas. The advantages are many: Ergonomically-friendly, cost-effective, reliable, and virtually indestructible. All of these technologies are great for being able to transport and convey materials from cell to cell and zone to zone in a very affordable way without the use of excessive wear and tear on humans and labor requirements. Cisco-Eagle: Is there some overlap with trends specific to distribution and warehousing? Romaine: Everything overlaps, but in distribution it’s all about reducing labor, increasing accuracy, and doing more for less. Also critical is the ability to do work more efficiently and effectively for omni-channel and e-commerce, which is driving all retail business right now. So what we need to do is take a look at our processes and procedures to be able to create the methods and means in which to reduce the labor content while increasing accuracy. Take the A-Frame, for example. A-Frame is a type of hardware system that allows channels of products of (singular skews) to be dispensed up to four thousand items per hour, with zero labor picking involved. All you’re doing is replenishment. You look at those types of speeds with a human being involved, if you can hit a thousand… if you can hit 1500 lines per hour using a human being… that would impressive. So now we have the technology to pick and fulfill orders and specific items four times faster than a human can with 100% accuracy levels. This is perfect for when you have a hot number of skews. So organizations can take a small number of their fastest moving SKUs using Pareto’s 80-20 and fill orders using dramatically less labor. When you have one, two, three line orders, very often, it can go straight to an A-Frame system. Items in an order can be picked into a tote, onto a conveyor, or into a shipping container and go straight down to shipping. Likewise, orders can be automatically poly-bagged or boxed, labelled and shipped. An integrated A-Frame, bagging, boxing, weighing and labelling system utilizes virtually no labor and can provide 4,000 orders per hour with 100% accuracy. This is the type of performance that organizations can use to beat their competitors. It’s all about meeting cut off times and exceeding customers’ expectations. Cisco-Eagle: Do you find customers and prospects proactive about some of these things that you’re bringing up, or does it require some education as well? Romaine: Everything requires education to some degree. However, we find that the markets and the industry segments that are the most competitive are the ones that are out there most looking for solutions. When an industry is slow to evolve, it opens the door for somebody to come in and change the game. In fact, many years ago, during the great recession, it was an economic requirement. Companies had to reduce overhead because business was low. Overhead and often its largest component, labor needed to be reduced without risking an organizations core business competency. So the question then becomes: “How can I use machines and systems to help lower my total overhead and still be able to continue with a high customer service level?” That’s where automation kicks in. 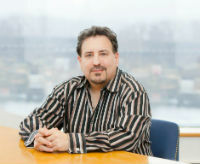 Cisco-Eagle: Switching gears: How will workforce demographics affect the manufacturing industry looking into the year? Romaine: For manufacturing, there’s a significant percentage of Baby Boomers looking to retire in the coming years. So you’ve got a generation that’s well trained and educated to do work that they enjoy doing leaving the workforce. On the flip side, you’ve got a newer generation of kids coming up into the workforce and hard labor is not something that most enjoy or want to do. So how do you replace the older generation of skilled workers? You replace them with automation. Automation is going to fill the voids, fill the gaps by making processes more efficient. Likewise, automation is going to allow you to have ergonomic solutions. People just can’t move, bend, or reach as well as machines can. Even if they could, the problem you’d always have is injuries, followed by retraining and the cost of replacements. So it’s just good business to have high ergonomic and efficient automated systems. Cisco-Eagle: Technological innovations (i.e., Internet of Things, wearable devices, robotics), do you see those things becoming a major part of the industry? Romaine: Certain technologies are going to have major influence on the supply chain. There’s no ifs, ands, or buts about that. Which ones, at what time, at what point, it’s always hard to tell. Trends are generally announced and exploited in the magazines and in the news about a decade before they’re actually mainstream. I remember reading all about pick to light systems when they first came into the industry. I couldn’t wait to see my very first one… years later. RFID was going to change the world. Now this is really good for medical devices, it’s really good for hospitals, etc., but when it first got introduced it was going to be for washers, screws, everything in the world was going to have an ID tag attached to it. Well, the economics and the technologies haven’t really caught up to what it can and will be. I still think that is going to wind up happening; unfortunately may be 10, 15, 20, maybe even 30 years after the initial buzz. However, I think an easier (immediate) prediction for warehouses may be wearables. There’s still a lot of time to get to the point where it’s going to be a game-changer, but when it’s developed and matured it certainly will. In the interim, technologies that are requiring the least amount of labor with the highest levels of accuracy and the fastest return on investment are the types of technologies that companies are gravitating to. Systems such as the Mobile-Matic™ portable A-Frames provide maximum flexibility and minimal maintenance. You literally wheel it up, you plug in communications, you plug in the power, and now all of a sudden you’re doing 2,000 items an hour. Portable and scalable automated systems are the types of systems that have been and will continue to take off dramatically over the next number of years. Cisco-Eagle: Switching gears again: How is SI Systems currently prioritizing safety within and throughout the organization? Romaine: Safety’s always been a priority for us. We’re always looking to make sure that it takes the least amount of effort to do the most amount of work; we want to present things in an ergonomic fashion by reducing twisting, bending, stretching, and all the different stressors that the human body truly wasn’t meant to do. By using automated systems and intelligent software, we’re now reducing walking, searching, and time spent delivering things. These are all different means of reducing the ergonomic strain on an individual, which helps enhance a company’s return on investment on their employees. It’s a win-win for everybody involved. Cisco-Eagle: So, with industries changing and growing, how does SI Systems continue to stay competitive amidst all of this change? Romaine: Changes are always going to be a trend, so the idea is to get ahead of the trend. Using key partners such as Cisco Eagle allows us to see where A-Frame and sophisticated WES, WMS, and WCS software systems make sense for an organization to position them for rapid growth and increased profitability. So having a key partner such as Cisco-Eagle is vital to SI Systems future and its growth. Thanks again to Ed and the entire SI Systems team for their insights and perspective on the state of manufacturing in 2015! Stay tuned for additional interview excerpts, blog posts, and key takeaways from ProMat 2015. Ed Romaine is Vice President Sales & Marketing for SI Systems & Chairman of the Automated Storage & Retrieval Systems (AS/RS) Product Section. Romaine has spent over 30 years involved with organizations looking to optimize their distribution, manufacturing, and warehousing operations. Focusing on customer’s processes, systems and business model, Romaine has helped dozens of organizations improve profitability by reducing labor, floor space, errors and inventory while improving accuracy, inventory turns and cut-off times.